“Everyone has goodness in them and happiness inside them but sometimes people don’t really see it, or the current stress and load of things that are bothering them is kind of blocking them from accessing that happiness. I think it’s important for people to realize in the midst of all this craziness there is a way for people to be happy, and once you are happy, you’re going to be more productive and more motivated," Nastya Sushkova (12) said. Sounds of uncontrollable laughter fill the air as Anastasiya “Nastya” Sushkova (12) chats with her friends while walking to her next class, using hand gestures to further give meaning to her stories. Her gentle eyes sparkle in the sunlight as she listens and smiles to the words of those with her. When asked to describe the senior’s personality, close friends of Nastya use empathetic, understanding, and dependable among others. All share a common theme of kindheartedness. 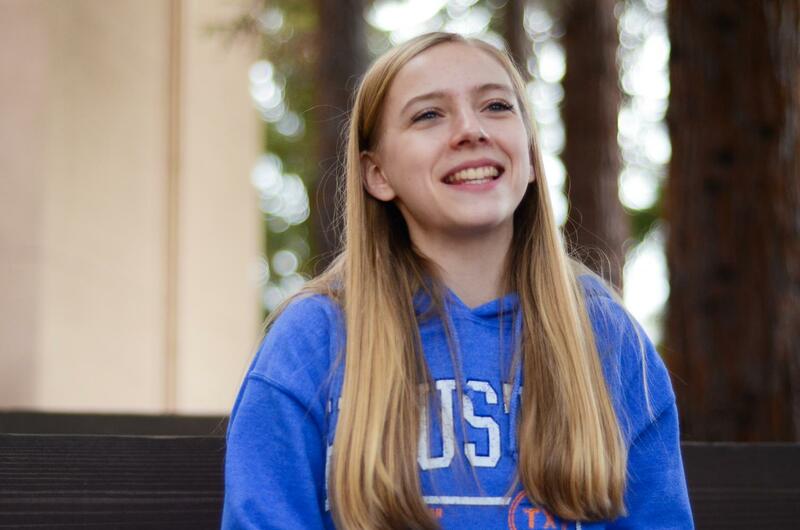 Despite facing a difficult second semester in her junior year, Nastya has worked to constantly find ways to gather positive energy within herself and others. Her use of dream journals and lucid dreaming helped her overcome her previous state of mind and have a more optimistic mindset. Through spiritual thinking, Nastya has not only begun to take new risks, such as a backpacking trip that she embarked on this summer, but also has found subtle ways to introduce joy into others’ lives. Ihita Mandal (12), Nastya’s close friend, recognizes the steps that she has taken to make others’ days brighter or make them smile and support other people. Nastya’s ability to bring energy and humor to conversations helps strengthen her friendships. Another one of Nastya’s friends since freshman year, Nemo Yang (12), noticed the development of her genuity and kindness, seeing the effort that Nastya put in to bring optimism into others lives. Nastya’s reason for taking the time to make even one person’s day comes from her desire to help others find the positivity that she was able to. She believes that by spreading this energy, it will impact others significantly in the future.